Franny, Jet, and Vincent come of age in New York City, far removed from their ancestral home by their mother’s rules, which they continually break as they learn about their extraordinary powers. 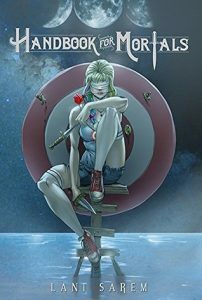 Jet is the first to break their mother’s rule of not falling in love, suffering the fate of the curse placed on their family by their ancestor Maria, cruelly deceived in romance. Allowing Franny to visit her great-aunts on her 17th birthday per family tradition opens up a whole new pathway in life for her, and fate brings all three siblings to live with their aunts, where they truly learn who they are and exactly how different. In this prequel to Practical Magic, readers learn about Vincent and how the curse affects an Owens’ male, for he disappears from his family in circumstances as extraordinary as his powers. 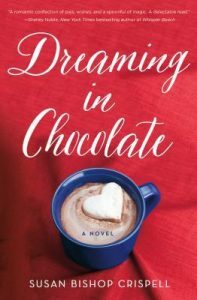 As in her previous novel, Hoffman continues to weave magic into everyday life as though it’s normal, at least for the Owens family, who are all too aware of their status outside of mainstream. 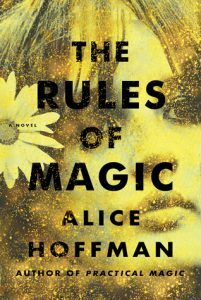 She shows the challenges of being a witch in societies that find it too difficult to accept what they don’t understand, even while hypocritically taking advantage of the witches’ gifts, one of which is unconditional kindness, for which they are never thanked. For readers who like a little magic with their complex family dynamics, this story will certainly be appreciated. For those living with differences not readily explained, the Owens siblings would be easily relateable. Hoffman’s characters retain their integrity within their limitations as witches, including not being able to save a loved own drowning because everyone knows witches float. The story ends where Practical Magic picks up, with Vincent’s granddaughters—orphans as far as they know—arriving at their great-aunt’s home to live with them. Lani Sarem spoke at a writers’ conference to give her side of the story about being the only person booted from the NYT bestseller list. She’s a good speaker–engaging, humorous, and credible. From this encounter and her summary of the story, I decided to purchase her book. Hmm….. I don’t believe anyone edited this book. There are strange errors that are not just typos and cut and paste issues. Although this distracts from the story, it doesn’t affect the coherency, but becomes more of an interesting side note. The narrator of the story learns a secret of her mother’s, but the readers are maddeningly left to figure this out, and only at the end can connect it. The writing doesn’t flow as well for me as I would have liked. Zade (the narrator) joins a magic show in Las Vegas, keeping the true magic of her “illusions” to herself and the show’s founder. The whole idea of a real witch (Sarem doesn’t use the term) in a magic show is fascinating. Unfortunately, Sarem spends the majority of the book on the love triangle, endlessly lamenting over which one Zade should choose. About 2/3 of the way through the novel, Zade experiences a huge glitch in her “illusion” and must be rescued by none other than her real witch mother. The scene in her home seems to go on and on while Zade lay dying, the timing of which is only explained after the fact. Zade can see everything that happened from the memories of those involved, and this fact is mentioned many times throughout that part of the narrative to remind the reader how she knows. It seems Sarem doesn’t trust her readers. She also spends too much of the story telling the reader how to feel instead of showing the characters’ emotion through behavior. I know she originally wrote this story as a screenplay and it feels like it. I liked the story. The writing / characters need development, and Sarem needs a good editor and to move beyond obsessing over romantic interests. A writer can show that a character does this without doing it with the writing itself. Two things that stood out: a new character attacked Zade at the mall and barely featured again, with only two slight references; Zade met Carrot Top and Wayne Newton at the mall, for the sole purpose, apparently, of name-dropping in the book, as they simply had cameos in that scene. I expect that Sarem was setting up the attacking character for the next book in the series, but it was oddly glossed over by the main character, who only mentioned it casually after she recovered. The name-dropping was silly. It’s a book. Charmian London took care of Jack London, typing as he dictated, editing his work, catering to his need for constant attention from “the crowd,” and picking up the pieces of his alcoholic binges. Products of their time, the Londons settled into a routine where Charmian sacrificed her life to Jack’s success, much as her friend Bessie Houdini did for her husband. Although Jack’s dalliances are often referenced, Charmian and Houdini’s affair is only hinted at throughout the story, before being stated outright only after Jack’s death. Small contradictions in this book had me going back for clarity so many times that I stopped keeping track of them, accepting them as a minor annoyance of the writing. The story begins well after the London’s greatest adventures, a shame, since they’re referred to so much that I really wanted to read about them. I know this is considered historical fiction, but I researched as I read, and everything I found agreed with Rosenberg’s version, including Bessie’s condition, which prevented her having children. The writing didn’t flow well for me, as I was more interested in things other than all the titillating details of adultery. Near the end, two events stood out that distracted me from the story. When Houdini tends to Charmian after she’s drenched in the rain, he “lifts” her magically from the bed. We all know the floating woman is a trick, so this seemed superfluously silly in this scene. Later, after Bessie acknowledges the affair of her husband and best friend, grants her acceptance of it to Charmian, and shows her friend her secret room of dolls, she passes out and stops breathing. Charmian brings her back to life by calling her name and touching her face. Although the book was nearly over, I almost stopped reading here. I received this book through NetGalley for an honest review. 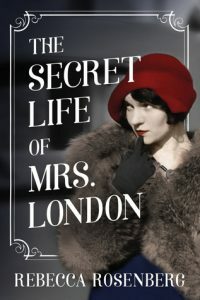 I enjoyed reading about Charmian London, but the secret life of her affair with Houdini was more melodramatic than intriguing. Still, it was interesting to learn more about the Londons and the Houdinis in general, and it sparked my interest enough to do a bit more research as I read.